Rudolf Jenny is chemist by training and was active in environmental and ozone-technology, for some years with an own company until his retirement in 2008. He has been working with orchids for more than 45 years, had a very large collection of tropical orchid plants until 1995. 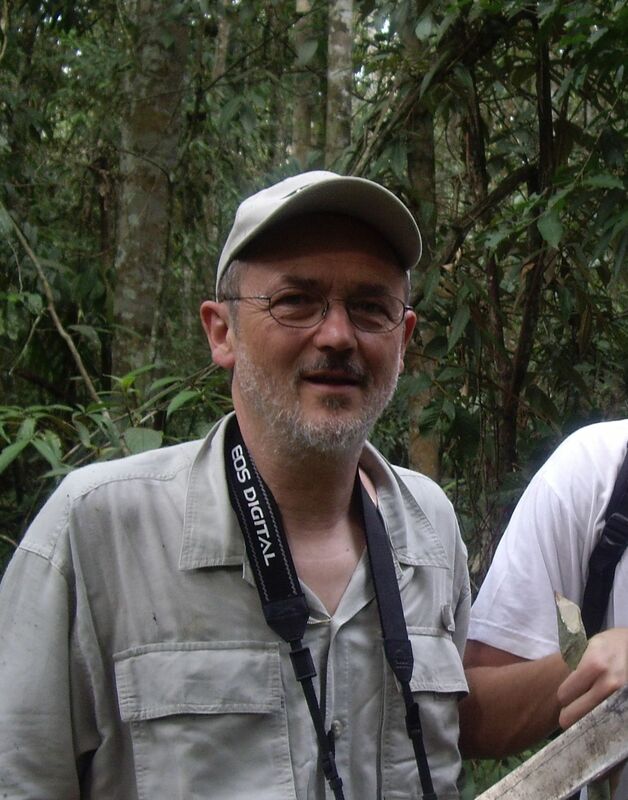 Over many years, he has travelled in Central and South America in connection with his studies in pollination ecology and taxonomy of orchids. He has published some 500 articles in many of the world’s leading orchid journals and published monographs of the genera Gongora, Stanhopea, Paphinia and Sievekingia. Recently he published the second part of the book-series about the history of orchids and the history of the involved collectors, amateurs, botanists and growers (…of men and orchids…). He is regular lecturer at conferences around the world and owner of one of the most complete orchid libraries in private hands. He maintains BibliOrchidea, the world’s largest and free accessible database for orchid literature with more than 182’000 entries, covering about 90 % of the existing literature. He is research associate at the Jany Renz Herbarium, University of Basel, Switzerland, honorary member and secretary general of the European Orchid Council, honorary member of the German Orchid Society, fellow of the Orchid Society of South East Asia and member of the Orchid Committee of the Royal Horticultural Society. In addition to orchids cave-climbing has been a hobby for many years.